The history of vampires is often intertwined with the history of Vlad the Impaler, better known as the Son of Dracula. While this ruthless ruler of Wallachia was a bloodthirsty one, he did not have fangs with which to puncture the necks of his victims and drink their blood. Bram Stoker used the story of Vlad III, Prince of Wallachia, as the basis for his famous novel, Dracula. In order to understand the fascination with a character that drinks the blood from a living person for his or her own satisfaction, a little background into Bram Stoker's character, Dracula or Vlad the Impaler, is necessary. A person became a vampire if they were immoral. A person became a vampire from improper burials or if he suffered a violent death. If the vampire knocked on your door and you answered, you'd be attacked and transformed into a vampire. Almost every culture had a story about vampires. The ways vampires were converted and their appearances were different, but they all fed off human blood. The Ancient Roman vampire was known as Strix. It took on the appearance of an owl and dined on human blood and flesh with a penchant for babies. The Strix's breast milk was poisonous, and she fed it to baby victims and then drank their blood. The Strix could shapeshift into a lovely woman to seduce unsuspecting men. Unlike other mythological creatures, the Strix wasn't dead. Instead, it had evolved into its vampiric existence. Romans thwarted it by splashing drugged water over doorways and placing hawthorn twigs in windows. The Chinese story of the first vampire doesn't fly but hops about. The Jiangshi means stiff and is also a word for corpse. Stiff from rigor mortis, the Jiangshi could only hop about described as similar to a pogo stick with outstretched arms in front of him. Unlike the pale Western vampire, the Chinese vampire has decomposing green-white skin similar to a zombie. The corpse is transformed into a vampire through a magical ritual, possession, improper burial and suicide. Like the Western vampire, Jiangshi is a bloodsucker. In India, the Hanh Saburo was a vampire that lived in the forest. It was believed the vampire could control wolves and dogs. People couldn't see the vampire but were alerted to its presence by a putrid odor. A bright ball of light would lead them into the forest where they would fall victim. Vlad was born into the royal family of Wallachia in 1431. He was born during a time in which his father was trying to keep Wallachia from being invaded by the Ottomans. His father gave up Vlad and one of his other brothers, Radu, to the sultan as hostages in order to keep them from invading the country. Vlad developed a well-known hatred toward Muslims during this time as a slave to the Turkish Sultan. Vlad was returned to Wallachia as a puppet ruler for the Sultan in 1478. This occurred after enemies of the state executed his older brother. He escaped and fled to Moldavia to live under the protection of his uncle, Bogdan II. Unfortunately, the Ottomans continued to pursue him and were intent on spreading their empire throughout Europe. Vlad then fled to Hungary and became a military advisor. In 1456, Hungary invaded Serbia and drove out the Ottomans. Vlad then invaded Wallachia with his own army contingent, and once again became Prince of his native land. Once Vlad was reigning again, he used impalement, the act of mounting people on sharp sticks driven through their torsos, to eliminate political enemies as well as political prisoners. Anyone who protected enemies of the Prince, including entire towns, were subject to his particular brand of execution. This included men, women, children, and infants. The total number of individuals impaled by Vlad is unknown, but by all accounts, it is probably 40,000 or more. There were several self-proclaimed blood-drinkers that were dubbed real vampires throughout history. Elizabeth Báthory (1560 - 1614): The Countess of Hungary, murdered around 600 girls to provide her with blood baths, believing the blood kept her young. Arrested and walled up in her chambers, she died after three years. 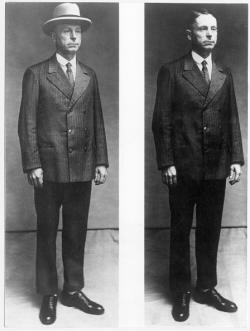 Vampire of Hanover: Fritz Haarmann, a police informant, bit the necks of the 27 boys he murdered. In 1925, he was executed by guillotine. Vampire of Dusseldorf: Peter Kürten claimed to drink the blood of one of his victims. A serial killer, Kürten's 70 victims were all female of all ages (1929 to 1930). He was caught in 1930 and executed by guillotine (1931). Vampire of Niterói: Marcelo Costa De Andrade (Rio de Janeiro, Brazil) murdered 14 boys so he could drink their blood and remain young. In 1991, he was convicted declared mentally ill and imprisoned. Writing for Discover Magazine, John Edgar Browning of the Georgia Institute of Technology spent five years studying self-proclaimed real vampires. Living in New Orleans and Buffalo, the vampire communities Browning interviewed participated in consensual sanguinarian (blood) and/or psychic energy feeding (pranic and auric energy). Browning writes the vampires (ages 18 to 50) felt they needed the blood or psychic energy to feel healthy and had felt that way since puberty. There are two online vampire groups, both based in the United States, that serve as a church and the other as a temple. The Vampire Church (1995) states it is a research group dedicated to studying life force energy. The Vampire Temple (1989) states it's an international organization with hundreds of members for the true Vampire religion complete with a dedicated Priesthood. The Vampire Temple website offers support and training to its members. The creed states that the Temple "rejects those aspects of the Vampire mythos that are negative including any that are anti-life, anti-social, deathist, crude, gory, self-defeating, or criminal." 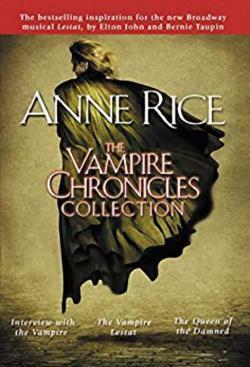 Modern romanticized vampire mythology evolved via fiction works, such as Anne Rice's Interview with the Vampire that humanized the vampire by contrasting two male vampires. This book is often credited with paving the way to a new genre as other authors began to romanticize vampires. One of the most popular vampire romances is the Twilight Saga by Stephenie Meyer. The appearance of vampires changed from gruesome to eternally youthful and very beautiful and attractive. The villain vampires are predators while the heroes live in the angst of their fate, choosing to drink animal blood instead of preying on humans. Many point to Bram Stoker's Dracula as this evolution's starting point. Bram Stoker penned the now famous Dracula novel in 1897 based largely upon the story of Vlad the Impaler, and possibly on the Hungarian noblewoman, Elizabeth Bathory. Countess Bathory was imprisoned after killing hundreds (possibly 600 or more) of servant girls so that she could bathe in their blood. She believed that bathing in blood would keep her young forever. The title of the book, Dracula comes from Vlad II's surname, Dracula. Vlad III's name Draculea translates to "son of the dragon" (the -lea suffix means "son of"). Over time, the word "Dracula" also came to mean "devil". Those that enjoy the history of vampires are enchanted by the idea of everlasting life. In many of the books penned by various authors, there is also a sensual component as well as a superhuman one. Ultimately, these stories allow the reader to live vicariously through characters that get to choose who will live forever and who will die. This is a fantasy that keeps readers and moviegoers alike always hungry for more.